It’s finally December, a month that I personally find to be one of the most stressful months of the year. 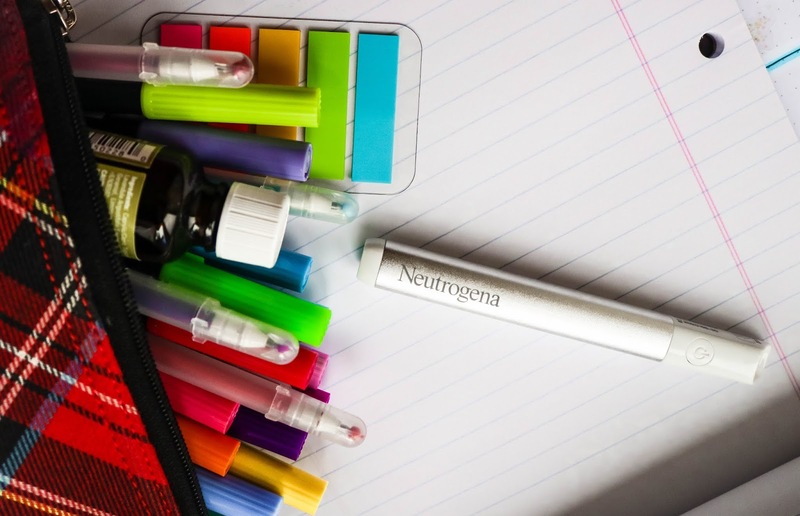 In an effort to be proactive, I’ve partnered with Neutrogena® to share my five most useful stress management tips! 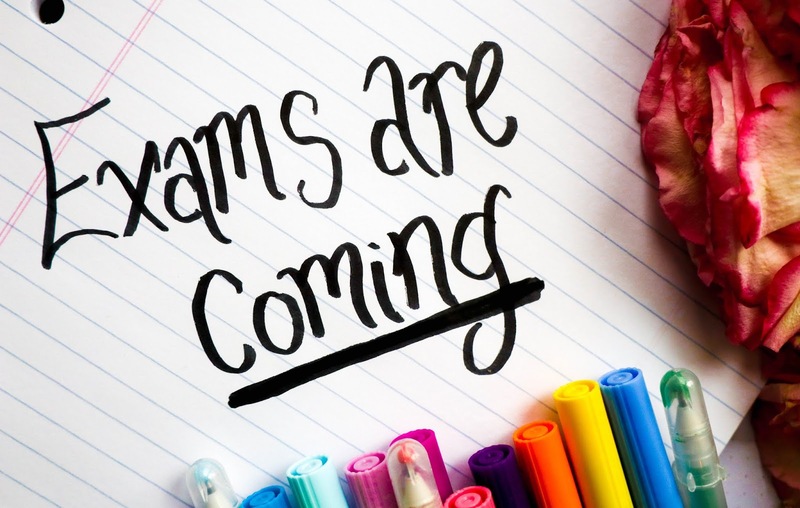 As a student, December is full of exam preparation and last-minute assignments. On top of that, there’s holiday planning, gift buying, and more to worry about. Plus, it definitely doesn’t help that the days feel so much shorter with the sun setting so early. As someone who often struggles with stress, I thought it might be helpful to share the top five most useful stress management tips that I’ve come to rely on during my 18-year academic career. While these are mostly school-focused tips, I’m sure they can be tweaked to deal with the stressors that come from work as well! A common piece of stress management advice is to create a to-do list so you: a) don’t feel worried that you’re forgetting to do something and; b) don’t actually forget to do that thing in the end. However, I kept finding that when I wrote tasks down, it just stressed me out even more. It took me a few months to realize that it wasn’t the to-do list that was stressing me out, but the way that I had broken down the tasks. I was trying to make my list as concise as possible but had made the items seem daunting, rather than approachable. For example, lumping all the readings I had to catch up on into one item that said, “read pages 100-287” rather than breaking them down into more manageable increments, or “clean apartment” rather than differentiating between various household tasks. It’s undeniable that you get a boost of energy every time you cross something off your to-do list, so separating your tasks into smaller goals helps you feel more accomplished and feel this rush of energy more often. It also makes it less intimidating to start your next task (because obviously reading 20 pages seems more doable than reading 187 pages). Personally, I would rather have a long to-do list of accessible tasks, rather than a short list with monumental tasks. This tip pertains to reading or taking notes from a textbook. To keep myself motivated, I place a sticky note in my textbook to act as a physical representation of where the chapter or topic ends (as seen in the photo above). You feel accomplished every time you flip a page and move towards that sticky note, and you don’t have to keep checking how close you are to the end. Usually, I place sticky notes in alignment with the page breakdowns I’ve established on my to-do list. 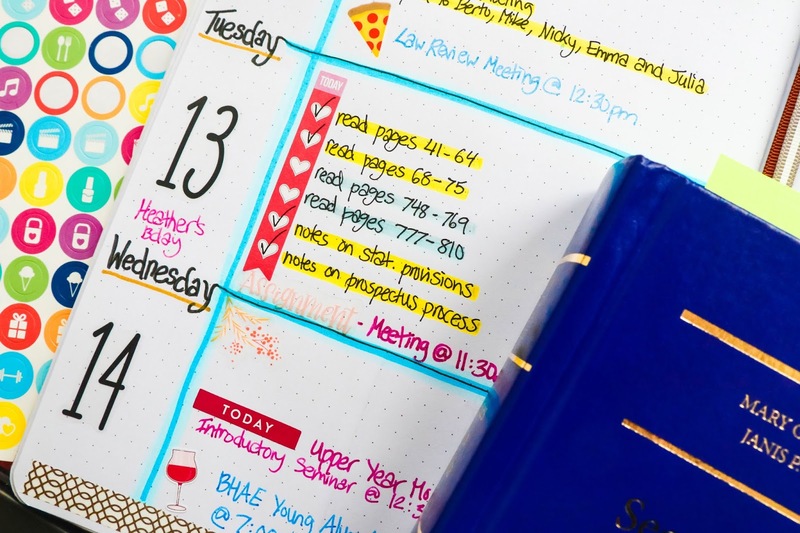 Once you’ve finished reading and taking notes, remove the tab completely or relocate it to your next page goal! Whether it’s carving out time for meals, or for a quick nap, it’s important to schedule time for breaks so that you actually take them. Every morning, I tend to plan out a rough schedule of when I want to take breaks. When you take a break, make sure you decide how long you want it to be, then set timers to make sure you stick to it and don’t get caught up in assuring yourself that it’s okay to watch just one more TV show episode. On the flip side, it’s part of our reality that phones and laptops easily act as distractions and that procrastination can reach an all-time high when we feel like we have tons to do. Personally, I use timed site-blocking applications on my laptop to make sure I’m not even tempted (or able!) to open social media or read the news between my breaks. While it may seem extreme, it allows me to be WAY more productive, and cut down on useless screen time. While eating properly and getting enough sleep are important, I always find that I tend to neglect my appearance during times of stress and that this seems to make me feel even worse. I’ve come to realize that the better I feel, the more motivated I am. This doesn’t mean that I want to put on a full face of makeup and a runway outfit each day; for me, it means limiting my inevitable stress breakouts, which tend to occur around my hairline. 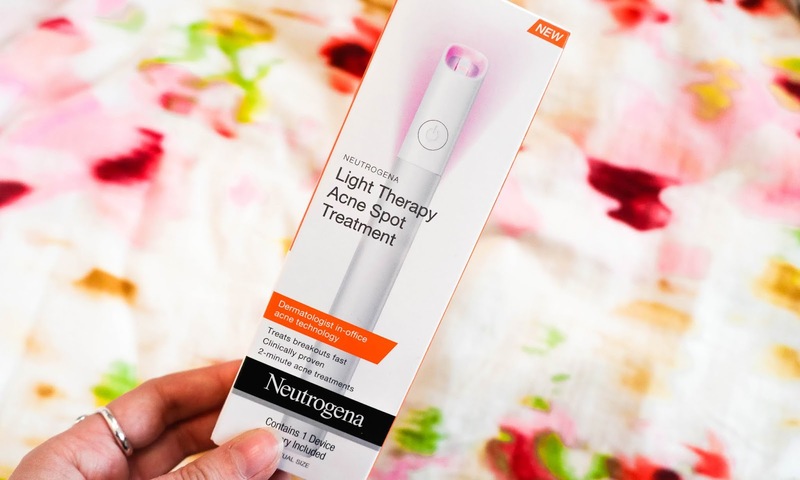 Since I know that stress breakouts are common for me, I’ve recently been using Neutrogena’s Light Therapy Acne Spot Treatment, a two-minute acne treatment that uses red and blue light to reduce breakouts. I can confirm that this product does not burn at all, and it’s also UV and chemical free! The device is battery-operated, so it’s a good long-term investment. I’ve found that if I start to use this device as soon as I see a pimple starting to develop, it really helps nip it in the bud. There’s a full-face version as well (called the Light Therapy Acne Mask), but I’ve preferred the spot treatment because obviously when I’ve got a lot going on, I need something that I can take with me while I’m on-the-go. Since it’s the size of a pen, it’s easy to throw into my pencil case so I can access it throughout the day, no matter where I’m working. It’s nice to have an effective acne treatment that I can quickly use during the day, even if I’m outside of my house. It’s a lot less embarrassing to quickly do the two-minute treatment in a bathroom than to wear a mask or drying spot treatment out in public. If you’re looking for other solutions to stress breakouts, check out my Instagram post on the Neutrogena Deep Clean Purifying Clay Cleanser/Mask (another staple of my exam-time skincare routine) here. My other go-to product for stress management? Lavender oil. The great thing about lavender oil is that it’s available in a ton of different stores, and at a variety of price ranges. It’s undisputed that lavender reduces stress, so what could be better to prevent those stress breakouts from happening or worsening? If you have a diffuser, drop some lavender oil in and use it while you’re working at home. If you don’t have a diffuser, or are going to work elsewhere, simply dab some of the lavender oil on your body by mixing it with your moisturizer or applying a bit on your wrists or neck. If you feel yourself getting worked up, just take a few seconds to breathe it in, and let it work its magic. Again, lavender oil bottles are super portable, so I definitely recommend taking them with you (you can see from the photo above that my lavender oil also lives in my pencil case)! When I was in undergrad, my friends used to wake up at 6:00am and head to the library to stake out their study spot for the day. I followed suit because everyone was doing it, but I soon realized that I wasn’t doing myself any favors. When it comes to academics, I’m a night owl. I have always liked to start my work at around 8:00pm and work into the night. This mostly stems from the fact that there are fewer temptations and distractions at night. During the day, your friends ask you to take lunch/coffee breaks, you’re more likely to receive texts, or be enticed by a new upload on YouTube or breaking news story. Once I accepted the fact that I had a different window of efficiency than others, I was able to feel less stressed out by how my schedule stacked up to that of my friends. In essence, don’t fight what works best for you because it will help you be more productive in the long run, and reduce your stress levels. While these tips may not be novel, I hope they’ve inspired you to actively tackle your stress in some way or approach this busy season with a renewed sense of motivation. Worst case scenario? You can make stress management one of your New Year’s Resolutions in less than 2 months 😉. Good luck to everyone writing exams in the next few weeks. We’re almost home free! Education is one of the important thing in everyone life. Without education life is incomplete. Some students feel that they cannot study. During their exams they feel stressed and forget everything that they have already learnt. These tips are really very useful with the help of which students can feel motivated.